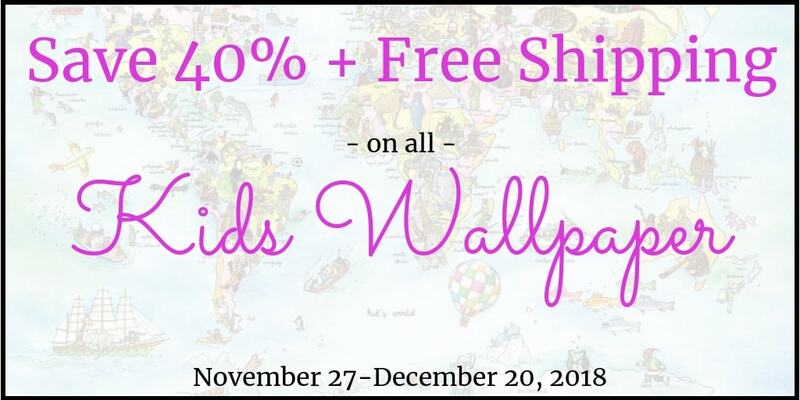 Save over 40% on all kids murals for my Kids Wallpaper Sale! Plus get FREE SHIPPING within North America. Wanna know about my Kids Wallpaper Sale in advance? If you missed this sale or are just not ready to buy yet, join my newsletter community and I’ll keep you posted on all my upcoming sales. But you can check out all the designs – because they’re all on sale! I work with TV designer celebs like Colin & Justin, Brian Gluckstein, Mike Holmes, Mike Holmes Jr. and Sherry Holmes and my murals have been seen on Cityline, DIY Network and in the Toronto Sun. My murals are super easy to hang, are totally REMOVABLE and are eco-friendly (so your family’s air quality isn’t affected). I’m certified by GoDaddy.com. Scroll down to the bottom and click on the icon to see! Pay however you like – by credit card, PayPal or even e-transfer. Read my customer’s reviews on Google or Facebook. And if you’re curious, read more about me!